220 pages | 14 Color Illus. | 41 B/W Illus. 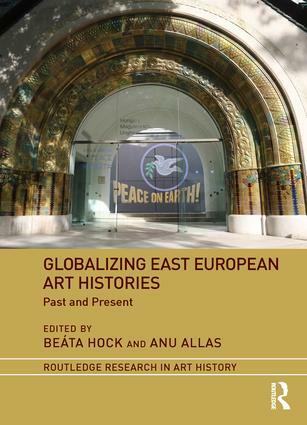 This edited collection reassesses East-Central European art by offering transnational perspectives on its regional or national histories, while also inserting the region into contemporary discussions of global issues. Both in popular imagination and, to some degree, scholarly literature, East-Central Europe is persistently imagined as a hermetically isolated cultural landscape. This book restores the diverse ways in which East-Central European art has always been entangled with actors and institutions in the wider world. The contributors engage with empirically anchored and theoretically argued case studies from historical periods representing notable junctures of globalization: the early modern period, the age of Empires, the time of socialist rule and the global Cold War, and the most recent decades of postsocialism understood as a global condition. Beáta Hock is a Senior Researcher at the Leibniz Institute for the History and Culture of Eastern Europe (GWZO), Leipzig. Anu Allas is an art historian and curator in the Kumu Art Museum in Tallinn, Estonia. Routledge Research in Art History is our home for the latest scholarship in the field of art history. The series publishes research monographs and edited collections, covering areas including art history, theory, and visual culture. These high-level books focus on art and artists from around the world and from a multitude of time periods. By making these studies available to the worldwide academic community, the series aims to promote quality art history research.